For Good Shepherd Sunday this year, I had programmed an arrangement of J.S. 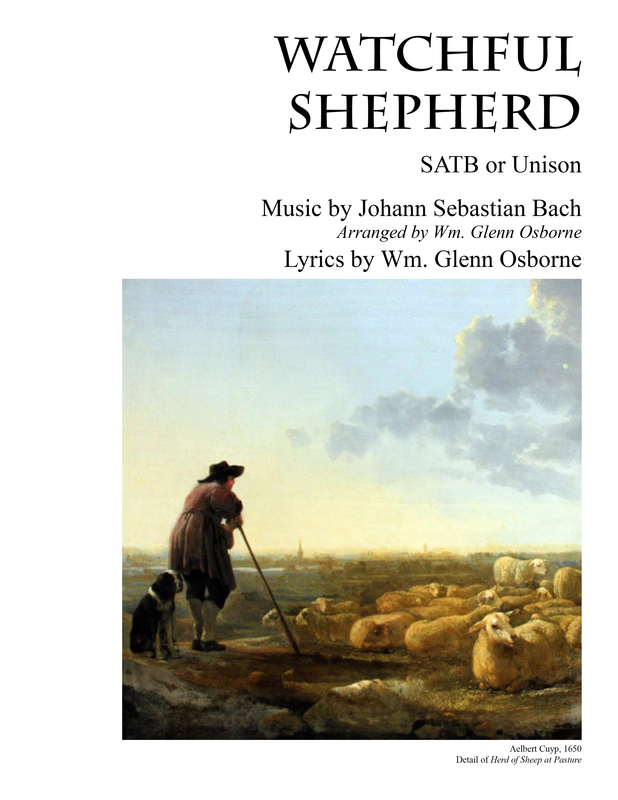 Bach’s “Schafe können sicher weiden” from Cantata 208 with an English text. At each of the choir rehearsals I had however, I became more and more frustrated with the part writing and the irregularity of the text. Finally, in a fit of frustration, I decided I would make my own arrangement and fix both the voice leading and text problems. While I considered trying for a translation of the original German, I opted instead to paraphrase Psalm 23. This is an easy anthem for the choir as they sing a simple four part harmonization of the chorale melody supported at all times by keyboard accompaniment. The piece could also be performed by a unison choir singing the soprano melody. A performance by the Choir of the Cathedral of Mary Our Queen can be seen here.